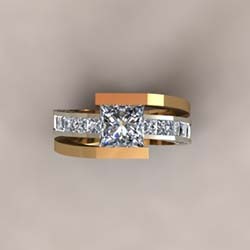 Make your “moment in time” uniquely personal with a custom design that is as beautiful as you! 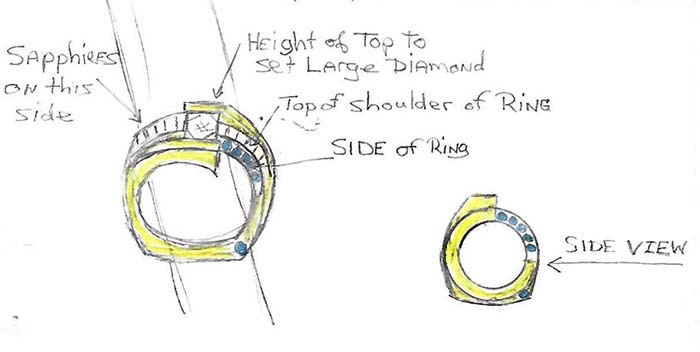 A key facet to designing the bauble of your dream begins with a concept. 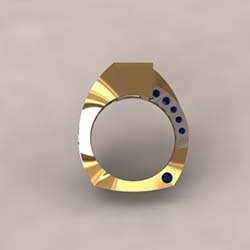 To start..... one of our experienced designers will personally take the time to ask detailed questions regarding what the piece will mean to you and what you want the gem to represent. As a part of the process our professionally trained designers use their technical knowledge taking into consideration functionality of materials, fabrication techniques, composition, wearability and market trends to begin developing a outline. Once the concept is defined the idea is then set to sketch. Usually 4 to 6 designs will be drawn. 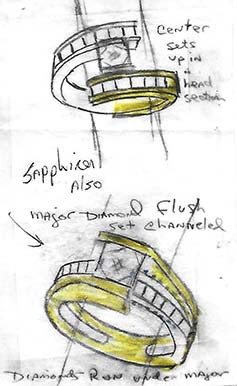 The sketches or CAD generated designs are to help you visualize your bauble and bring your vision to life. Next a meeting is set up to review each design and to discuss any adjustments or incorporate new ideas into the concept. No nuance is to small! During phase two revision sketches are drawn until a final decision is made on the winning design. After the design concept is approved the mold process begins. Our skilled master craftsmen take your approved sketch and hand carve it into a wax mold. 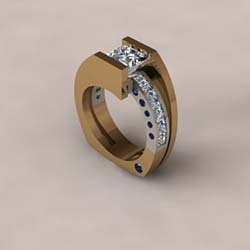 Often for very complex and intricate designs a CAD generated rendering is created and develop into a mold. After the mold is made the stones are cut and then placed into the fashion form. Whether it’s a CAD design or a hand-drawn sketch the transformation from lead to a physical piece you can hold in your hands is amazing. 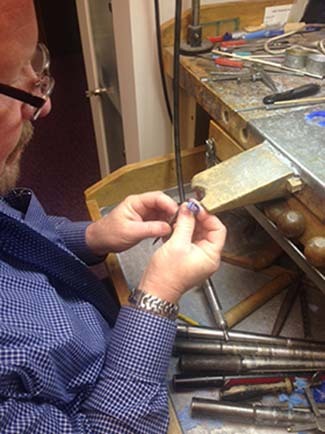 At J. Thomas Jewelers we can remount or cast jewelry in gold or sterling silver with or without diamonds and the gem stones of your choice on-site. Endear your piece even more by using your own gold or gemstones. If not we can also supply the quality materials and colors you need. Quality is number one! With the help of our staffs combined experience of more than 80 years we'll make that one-of-a kind piece of art for you to treasure today so beautiful it will be an heirloom to cherish for generations to come! You will be AMAZED at what we can do!